It has become very common for businesses and organizations to send out weekly email messages to their list of subscribers. There is nothing unusual about that. But I've noticed an increasing number of individuals who have begun to share their own wisdom and commentary on the issues of the day with their friends and family. Each week, I receive many weekly newsletters that arrive in my email inbox from synagogues across the country and Israel, but I've also begun to receive weekly email messages from individuals. Like the synagogue newsletters, these weekly missives from individuals include some insights about the weekly Torah portion. These individuals have realized that through email they have developed their own pulpit from which to disseminate information and offer their teaching. Through word-of-mouth, they have amassed a following through their distribution list. Bosses, parents, teachers, clergy and government officials are well trained to catch you doing something wrong. There are elaborate systems for checks and balances, controls and consequences. It's apparently very important to catch the mischievous child or the wayward employee in the act of disobedience. With so much effort spent catching people doing something wrong, it's time to start catching each other doing something right. In our society, wide spread labeling is an insidious force that robs individuals of achieving their true potential. When a parent tells a child they are average, slow, or stupid, these sharp words become a self-fulfilling prophecy as the erroneous labels are internalized. When a boss repeatedly lashes out at a team member pointing out their every flaw, confidence becomes shattered and performance plummets. The good news is that labeling can work the other way too. Catch a team member in the act of delivering great work, and you'll inject her with confidence and energy. Label a colleague a rock-star, and they'll kick out the work version of a Grammy. This week, let's all flip the poison of negative labeling, and catch each other and ourselves in the act - in the act of doing things right. These new, positive labels will tip the scales in favor of results, momentum, and overall achievement. This week's Torah portion begins with the words, "Look, I set before you this day a blessing and a curse." The question is which one we will choose. In the Torah's case, the contextual understanding of the text is that God sets forth a blessing and a curse in front of us and we are to decide which one we'll receive. Another way of understanding the text, however, is that we all have the ability to choose to bless others or to curse them. Tuesday marks the beginning of the new Jewish month of Elul, which is a time of deep reflection and introspection for members of the Jewish faith as we prepare for the Days of Awe (Rosh Hashanah and Yom Kippur). 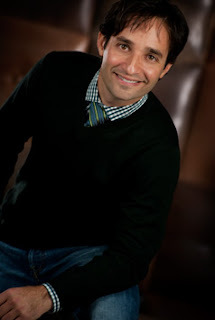 I hope we will all take Josh Linkner's message to heart during this season. When faced with offering a blessing or a curse to someone I encourage you to remember what my mother taught me from a very young age: "You get more bees with honey." Blessing others with kind words, motivational encouragement and compliments will lead to you feeling blessed as well.